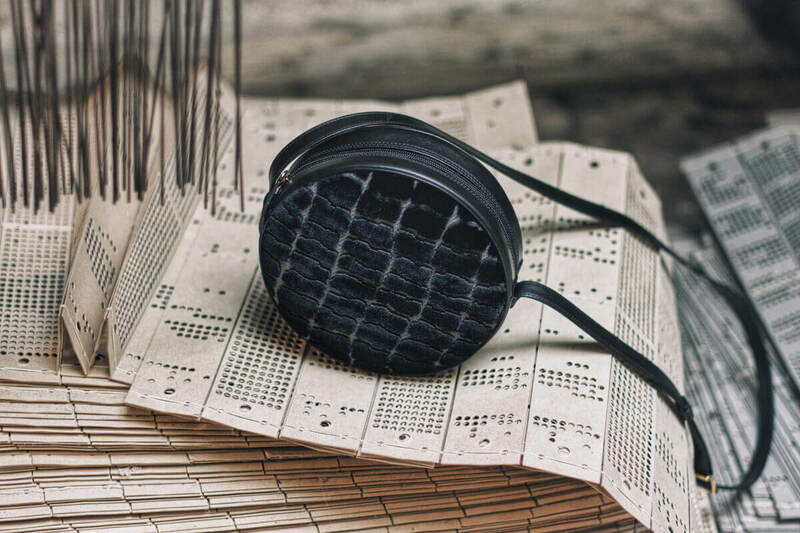 The time has stopped at Tessitura Luigi Bevilacqua and you can experience the ancient and noble art of weaving in which Venice has excelled for centuries. Thanks to its trades with Bisanzio, the city stood out for the production of fine fabrics, exported throughout Europe. 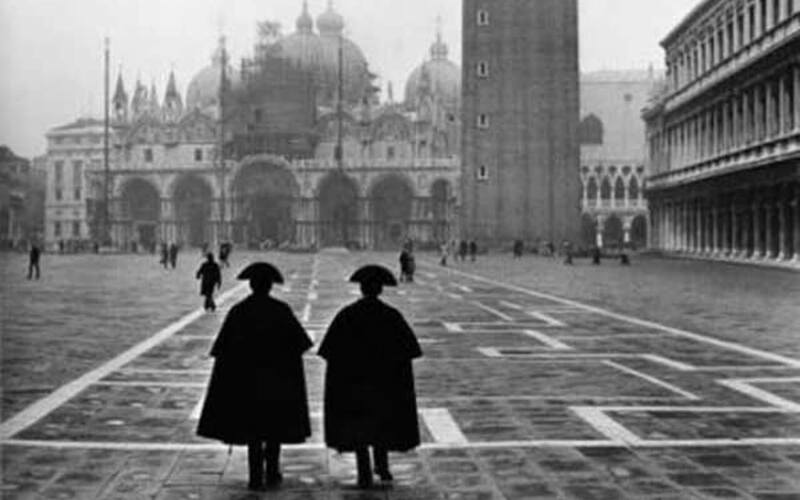 A record that Venice managed to hold for a long time favoured by the commercial relations with the East. A unique production of Venetian fabrics: velvet, damasks, lampas, brocades and suprarizzo velvet, produced using eighteenth-century canvases. A family tradition started in 1875 and carried on by the Bevilacqua heirs. 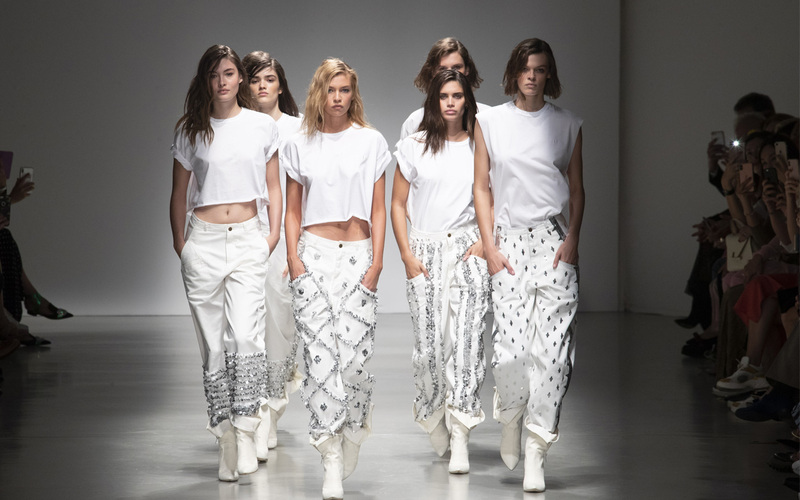 In 1875, on a turning point between crisis and rebirth, the Luigi Bevilacqua weaving company was founded. 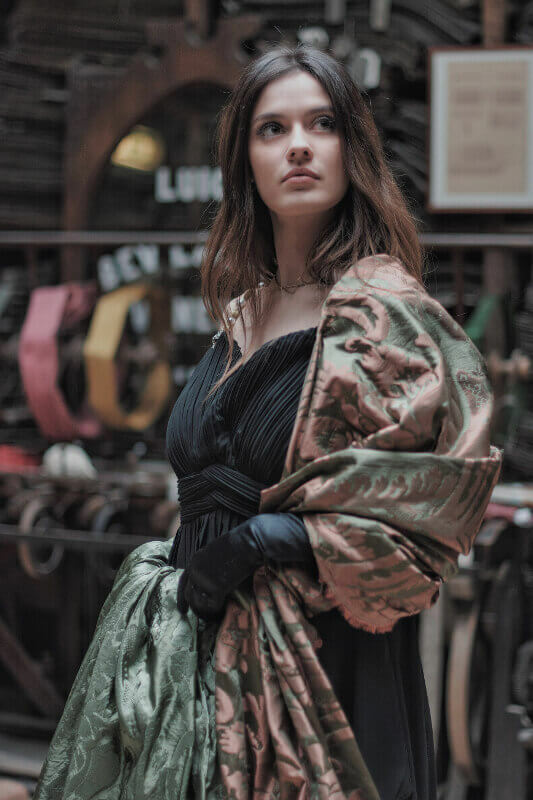 The credit goes to Luigi Bevilacqua and his partner, Giovanni Battista Gianoglio who in 1875 bought a building to use for their textile manufacture. It was not just like any other ordinary place, this building was in fact an old Silk School that had gone into liquidation after the introduction of the industrial production and the Napoleonic decree that suppressed all the artisan corporations. 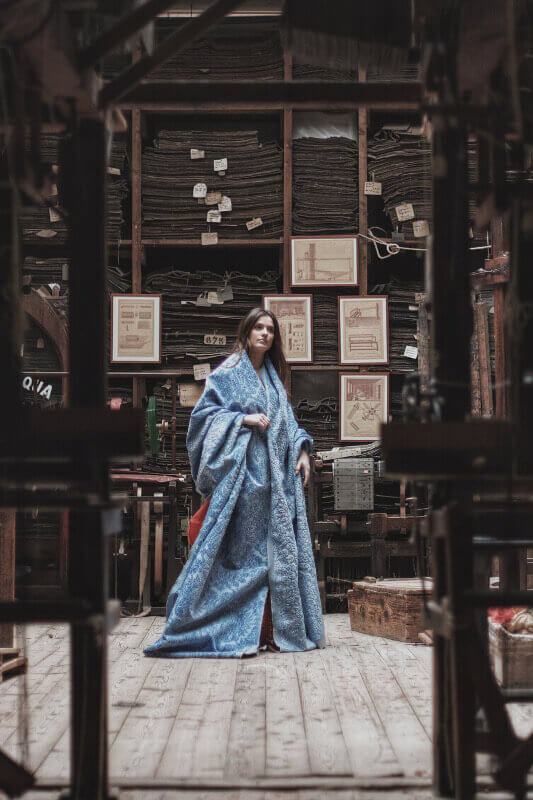 In this way Tessitura Bevilacqua started, recovering the ancient looms that are used still today to continue with the eighteenth-century tradition. 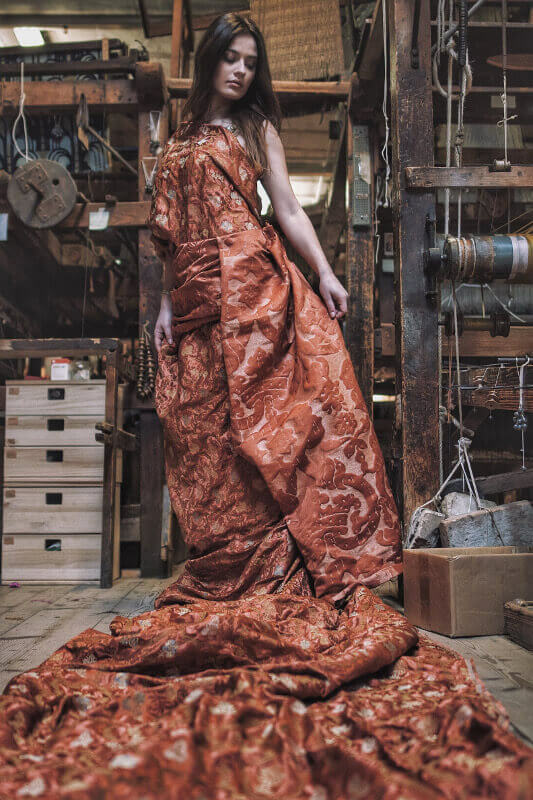 Created with eighteenth-century looms, the fabrics are used for the creation of high-fashion clothes, furnishings, decorative objects and are requested all over the world. They have been used as wall fabrics to cover three of the rooms of the Fabergé Museum in Saint Petersburg and to cover the cushions of the monumental library of the Patriarchate of Venice, the papal rooms, churches and Venetian residences including the walls of the Caffè Quadri in Piazza San Marco. The prestige has also increased thanks to external collaborations that have allowed the company to reach different countries. 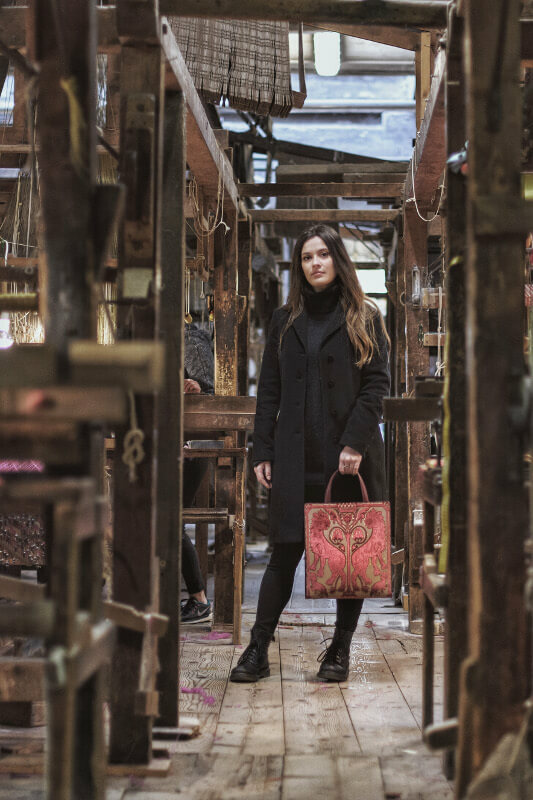 The Swedish artist Maja Sjöström designed the fabrics for the Stockholm City Hall, while others used hand-made velvets on high-fashion items and accessories, such as the Bagonghi bags by Roberta di Camerino. One of the most challenging jobs for Tessitura Bevilacqua was the realization of the ‘suprazzizzo’ velvet for the Moscow Kremlin. The client’s request was for a very articulate 250-year-old French design. For the realization the technicians had to set up the machine in the exact way that as it was set up 50 years before and the weavers, in order to reproduce the complexity of the design, had to place on the frame more than 16,000 different threads. It took them six months to actually start weaving and then two weavers alternated on the loom to complete the job. A demanding job with a master result that showcased all the manual skills of Tessitura Bevilacqua. The protagonist is velvet, a retro trend that appears in all the rooms and furniture, with patterns ranging from optical geometries of the 70s and 80s, to floral and plant motifs with leaves and flowers in line with different styles from the medieval age to the Renaissance, to the Neoclassical period. The novelties are not only in the velvets but in other fabrics too. The Sagredo brocatello, whose name recalls a noble Venetian family and their palace overlooking the Grand Canal, the Farfalle damask, a butterfly carpet to decorate the living room and the Pomegranate, Sweden and Maja lampas, designed by the Swedish artist Maja Sjöströmne, in the 1920s. In the new furniture collection, the originality of the colours reflects the new trends. The shades of blue recall the depth of the sea, those of the green the peace of nature, the shades of red give the rooms a strong character while those of the rose are inspired by flowers and fruits. This palette is combined with neutral colours that are ideal for balancing the bright ones and lighting up the rooms. 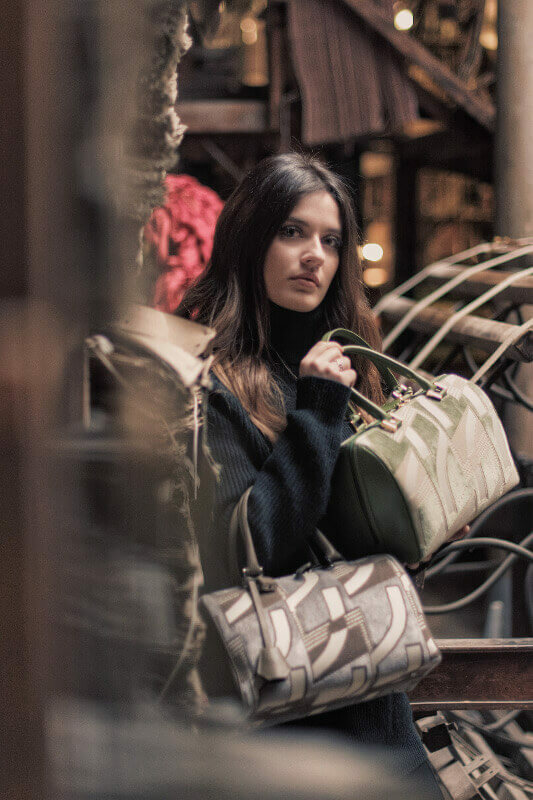 Unique accessories, the Bevilacqua bags are the distinctive feature to every outfit. Different for both type and design, they are named after a Venetian or Italian woman. 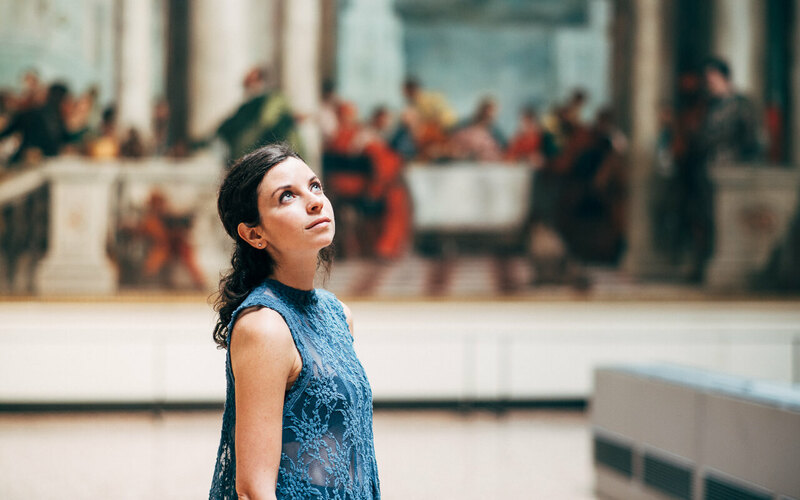 A tribute to great women who have left their mark in their field. Cecilia is dedicated to Cecilia Venier Baffo, the wife of a sultan and a woman of high culture able to entertain a correspondence with Elizabeth I of England and Catherine de Medici. 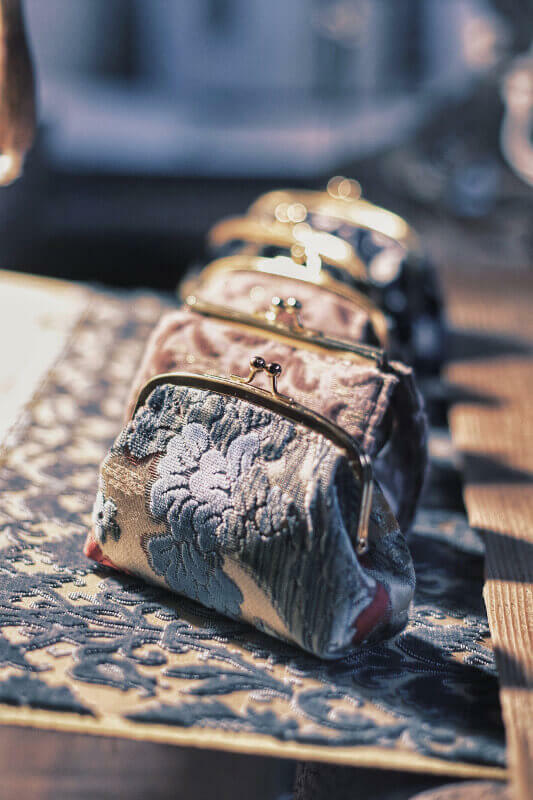 A perfect bag for every occasion with Giardino Antico, a floral motif inspired by the velvets produced in Genoa between the seventeenth and eighteenth centuries. 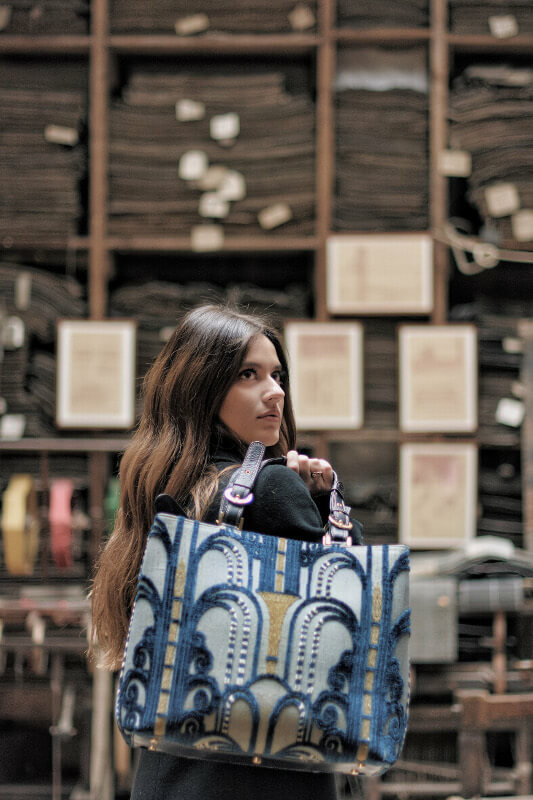 Casual character for the Bevilacqua shopper Velvet Tote Bag Leoni Bizantini, with Tessitura Bevilacqua logo in the design. 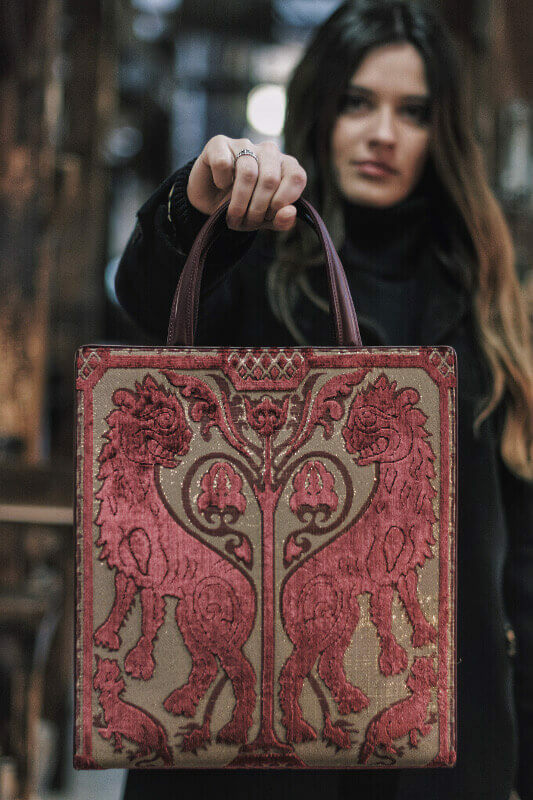 The Caterina bauletto, named after Caterina Cornaro, queen of Cyprus, Jerusalem and Armenia from 1474 to 1489, is sophisticated. Essential and perfect for the leisure time is Antonia, with a round shape, honouring Antonia Masanello, the only woman who took part in the at the Garibaldi’s Mille expedition in 1860; she managed to sneak in dressed as a man. Experience the Venetian Summer, day and night. 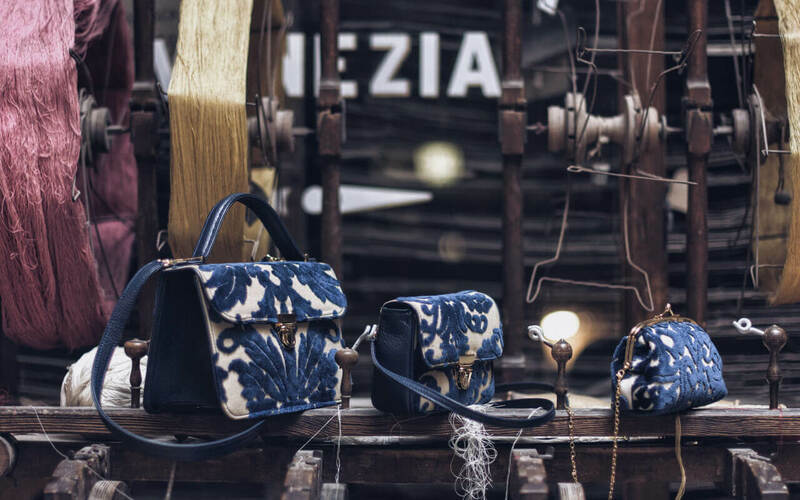 Venezia da vivere is a brand of Raccontare Venezia srls, an agency that creates tailor made communication strategies through events and storytelling about culture, fashion and lifestyle. Our communication services complete your web marketing strategies with original content to be disseminated on social networks.